Your Troop Boosts section…how do you read it? Next is where things can get a little convoluted, but for the most part, most are self-explanatory once you understand the general lingo. City Assault Attack…is it good for…? Any and all attacks, regardless of where you hit. Any attacks from your empire, either receiving or giving. Only attacks that you give, hero or without a hero, on another empire. Did you answer C? Because honestly, you should have. City Assault attack is just that; an attack boost you receive only when attacking another city. Anywhere you use fire troops. As an imbued fire boost to any troops you use. An attack boost you receive if your fire attack is higher than your opponent’s fire attack. Critical Fire Attack is akin to rolling a Nat-20, but not nearly as up-to-chance–IF you concentrate on collecting those fire gems and leveling up your Ifrit for a slamming fire attack boost that will make your enemy cry tears of sadness for all the families of the deceased troops they will have to call. Any “Critical XXXXX” attacks will work in this fashion. 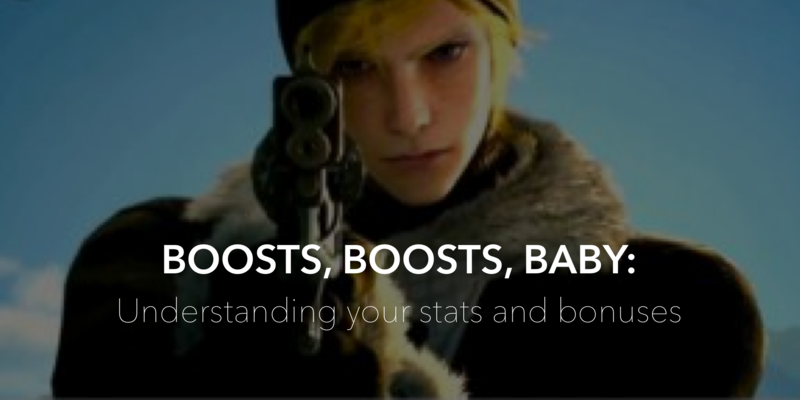 While these can be a bit of a crap-shoot (heh, I said crap…) the bonuses received if you are successful make it worth the risks; especially with the Gladio/Iris Synergy for Critical Attack! From there, click on the BOOSTS tab, located under the profile picture in the center. Understanding the terms of the game will help you better interpret which gems, gear, mastery skills, and monsters are best for you to use when both attacking and defending. Using this boost menu also helps show you, without having to put into immediate action, which hero will give you better stats for what you are needing, based on what your boosts look like while that particular hero/gear/gem ensemble is active. Even though we tend to think of Troop HP as a defensive stat, it will help keep your troops alive when attacking, allowing your attack to be more effective. In regards to defending, your Troop Attack is not just for sending out troops of fiery death to your enemies, but will also help kill off those incoming marches some poor soul sends to your empire. Filling out these boosts is imperative for a well-rounded empire capable of holding its own, regardless of whether you are more focused on playing defensively or on attacking. Starting from the top with Troop Attack, and down all the way through Siege Armor, are stats that will help your offensively AND defensively. Regardless of which warrior/mage/cav troop type, these boosts are the foundation to your empire, regardless if you are primarily an attacker or a defensive player. Wondering what boosts your mercs can receive? Look at their stat menu. For example, Ravus’ Magitek Warrior. If you look at the “Type,” it shows it is Magitek, Warrior. So, any boosts that apply to Magitek and/or Warriors, will apply towards this particular merc. Rally Attack, Rally City Assault Attack, and Rally City Assault HP Bonus’: are exclusively applied when you are rallying. Order some pizza and invite your top 50 friends to put these boosts to good use! City Assault Attack, City Assault HP, City Assault Armor: are exclusive to when you are attacking other EMPIRES…this does not include bandits, crystal, etc. If it isn’t a player’s empire, then these boosts do NOT apply. City Defense Attack, City Defense HP, City Defense Armor: Are solely for your empire while you are being attacked. If you are reinforcing a crystal/titan, these do not apply for those circumstances. City Defense with Astral: A defensive boost you receive while an Astral with HP remaining is in your empire. Like above, since it lists CITY, it means it is only applicable to your empire, and not to Crystal/titan. Once your astral is drained of its HP, these boosts are no longer applicable to your empire. Troop Attack/Troop Attack HP while attacking the Crystal: Pretty self-explanatory here. If you’re attacking the crystal, you are receiving these boosts. Defender Armor bonus: Applicable in ANY instance where you are defending. Optimal when combined with some crossed fingers and held breaths. Troop Attack with Hero, Troop HP with the hero: Use your hero, receive these boosts. Crystal and Titan Attack/HP: Yup. Attacking or defending, it’s yours. Get it, son! Troop Attack/HP Bonus While Attacking Crystal: Benefits received when attacking the Crystal. Tile Attack/HP: Applies when knocking an opponent off a tile or defending the tile your troops are collecting from. Gathering Troop Attack bonus: Applies to your troops on an existing tile while they are gathering rss/materials. Commander HP/Armor Bonus: Applies only to your commanders to help them live to fight another day. Troop Attack/HP/Armor with Commander: Boosts that your troops receive while at least one commander is in their presence. This boost is not multiplied if you add more than 1 commander. Min. defending/max defending HP boosts with commander: Boosts your troops can/will receive depending on your research, while defending any territory or tile, with at least one commander present. This boost is not multiplied if there is more than 1 commander present. Embassy HP Bonus: A bonus the troops reinforcing within your embassy receive. **NOT the same as Iris’ synergy bonus! Iris- Embassy attack/Hp Bonus: Boosts that all troops within your empire will receive while defending, while Iris is the active Hero, AND you have reinforcements within your embassy. Trap Repair Capacity: The number of traps that can be insta-healed within your empire by using gold/platinum. Garrison Attack/HP: The boosts that your troops and reinforcements within your garrisons receive while defending. Troop Attack Per Royal, Exalted, and Divine Research Speeds: A troop attack bonus you receive (check within Ignis Mastery) that gives you an attack bonus based off of your total research speed. Neutral Realm Attack/HP: A boost received while in a neutral realm, regardless of whether you’re attacking or defending. Weapon/various gear Stat Multipliers: Self-explanatory, and can be strengthened or improved upon within your Crafting research tree. Body Armor Attack/HP bonus/various gear attack hp/armor bonus: Found in Cindy Mastery, and applies towards your hero’s gear for both attacking and defending. Neutral City Assault Attack/Armor/HP Bonus: Boosts applied only when attacking other empires within a neutral realm. Troop Load: A boost that increases the amount of RSS or essence that your troops can carry. Iris Synergies: All fairly self-explanatory. A boost that Iris gives when skills are applied to her Mastery tree, that helps the said-troop/hero/situation. With synergies, Iris is NOT the active hero, and each boost only applies to each particular hero while that hero is active. Whether you’re a seasoned player in an older realm or a fresh face on a new server, a good refresher and/or understanding over what the various boosts can do for you and your account is always helpful. There are always new stats, bonuses, and releases that will change the way you can manipulate your account, so make sure to frequently look over your available enchantments, gems, gear, monster combinations, and anything else that can change up your boost stats. So here we are again, my darlings. Feel free to drop a comment and tell me which boost tickles your fancy the most. (It’s the commander one, isn’t it?) Or, perhaps you want to tell me about that one dream you had where Prompto and Noctis…well, I’ll leave it to you to share. Does a Troop Attack boost apply only to regular Warrior, cavalry, Mage? Also to elementals? But not Mercs? Troop Attack boost will apply towards all troops, regardless of type. This is different than core attack or other type/situational-specific attack boosts.